rose by 11.4 per cent to 51,418 units during the month as compared to sales in June 2009. 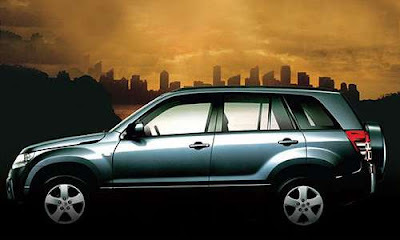 The sales growth in the C segment was 43.9 per cent over June 2009. The company was closed for 6 days during June 2010 (as also in June 2009) for a planned maintenance shutdown of the facilities. MSIL has registered a domestic market increased in sales of 17.87 percent from 61773 in 2009 same month to 72812 units in the same period of 2010. Maruti 800 dropped by 14.27 to 2,090 units from 2,438 units in June 2009, the statement said. The company total passenger car sales went up 16.11 percent at 71,503 units in June 2010 compared with 61,583 units in the same month in 2009. Maruti Suzuki is also planning to launch its new cheapest car, Maruti Cervo soon in India, which will be available price tag of around Rs. 1.5 to 2 lakh. On the other hand, Skoda Yeti, Tata Aria, Nissan Micra and Volkswagen Vento are also ready to introduce in the Indian auto market. Their are still more updation which will be happening on next year in maruti suzuki India.